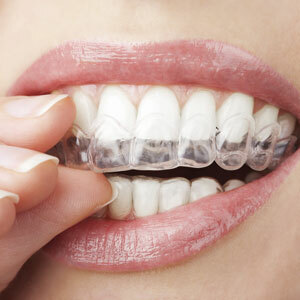 ClearCorrect is a unique system that provides removable, translucent, and affordable braces. Our dentists create customised alignment trays which effectively move your teeth into their straighter, more desired position, without resorting to traditional fixed orthodontics. ClearCorrect braces must be worn every day, however they should be removed for mealtime or to brush and floss your teeth. Every fortnight, you switch your current alignment tray to a new one, helping to gradually align your teeth. We ask that patients schedule an appointment with us every other month, so we can monitor your treatment progress and give you your new set of aligners. You’ll soon start to notice results within just months, as ClearCorrect allows you to have a straighter smile without the need for frequent orthodontic appointments. When you compare ClearCorrect to more traditional forms of braces, you will find it is relatively affordable, especially when you discover the stunning, fast, and long-term results it produces. This orthodontic treatment can also save you more money in the long-run, as those with perfectly aligned teeth tend to have better oral hygiene and health. How Do I Know if I’m a Candidate for ClearCorrect? You’ll find that if you’re a candidate for traditional braces or other clear aligners such as Invisalign®, then you’ll most likely also be able to undergo ClearCorrect treatment. Generally, the perfect candidates are those without gum disease or active tooth decay. How Long is the ClearCorrect Treatment Process? Just as everyone’s mouth is different, so too is the treatment time for orthodontic measures such as ClearCorrect. Our dentist will be able to give you an estimated timeframe during your consultation, however the majority of our patients can expect successful results in as little as 12 – 24 months. Want to transform your smile and boost your self-confidence? Schedule a consultation with our friendly staff today to find out how ClearCorrect can help you!